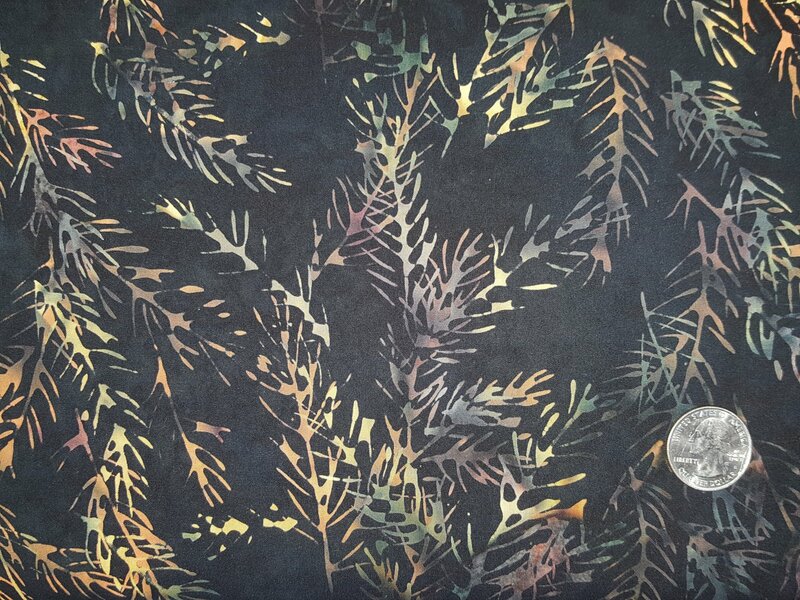 Black batik with orange yellow and green tossed pine branches. From Hoffman Fabrics. 100% cotton. 43-44" wide.